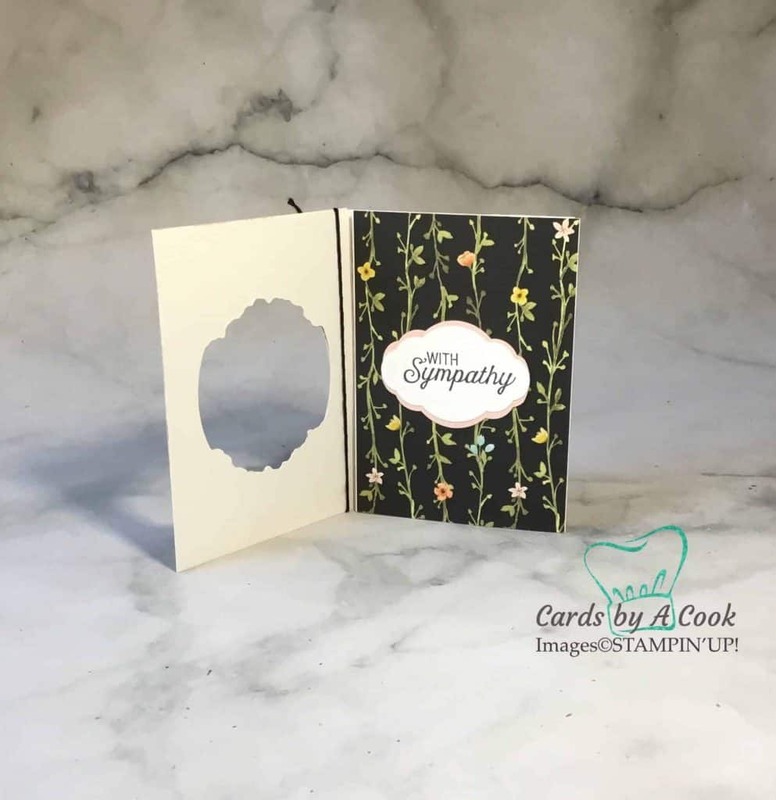 No one wants to need sympathy cards but alas, there are times when it is therapeutic to make a special sympathy card. The “Charming Cafe” bundle by Stampin’ Up! 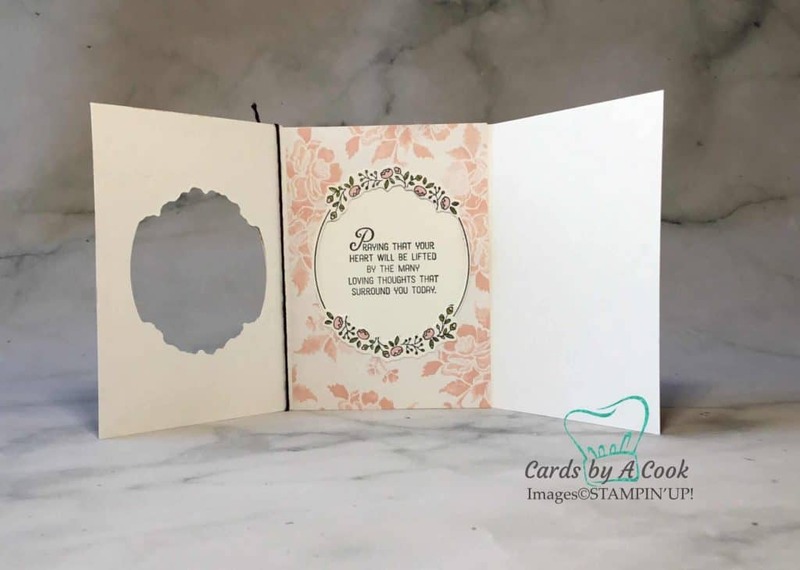 creates a very pretty and unique trifold card that is perfect for a sad occasion. I paired the flowers and framelits from the Charming Cafe set with the beautiful and very appropriate saying from the “Flourishing Phrases” stamp set. The framelits make cutting out the gorgeous flower window quick and effortless. Stampin’ Up! Blends alcohol markers add a touch of colour. Stampin’ Up! water based markers could be used as well since the flowers are too small to take advantage of the blending with the alcohol markers. 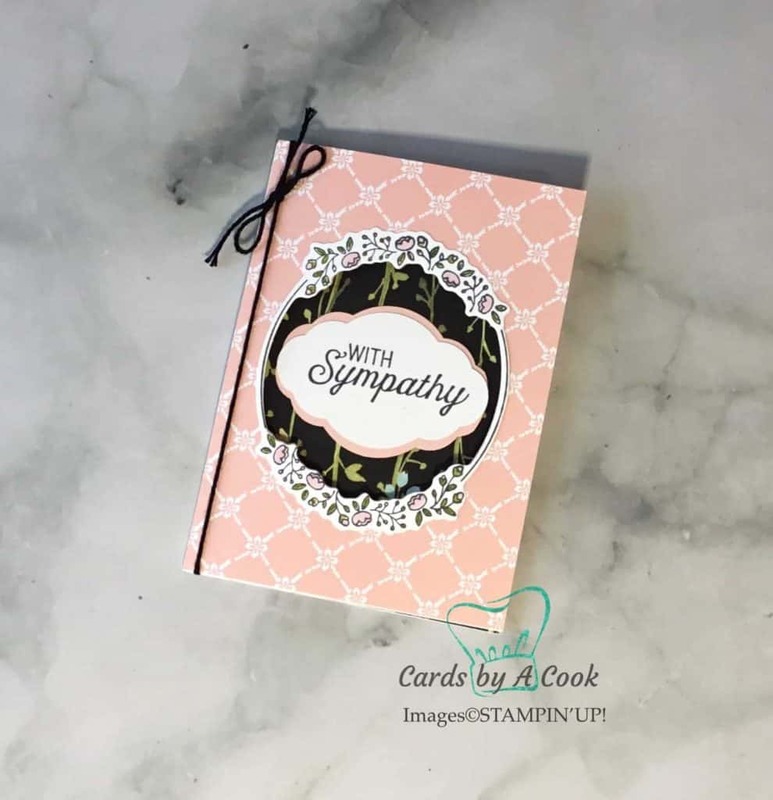 The “With Sympathy” is from the Flourishing Phrases stamp set and fits perfectly into the “Pretty Label” punch. This set also includes phrases for the inside of cards so is a very versatile set to own. The black floral designer series paper is from the Whole Lot of Lovely Pack and coordinates with the powder pink in the Fresh Florals pack. 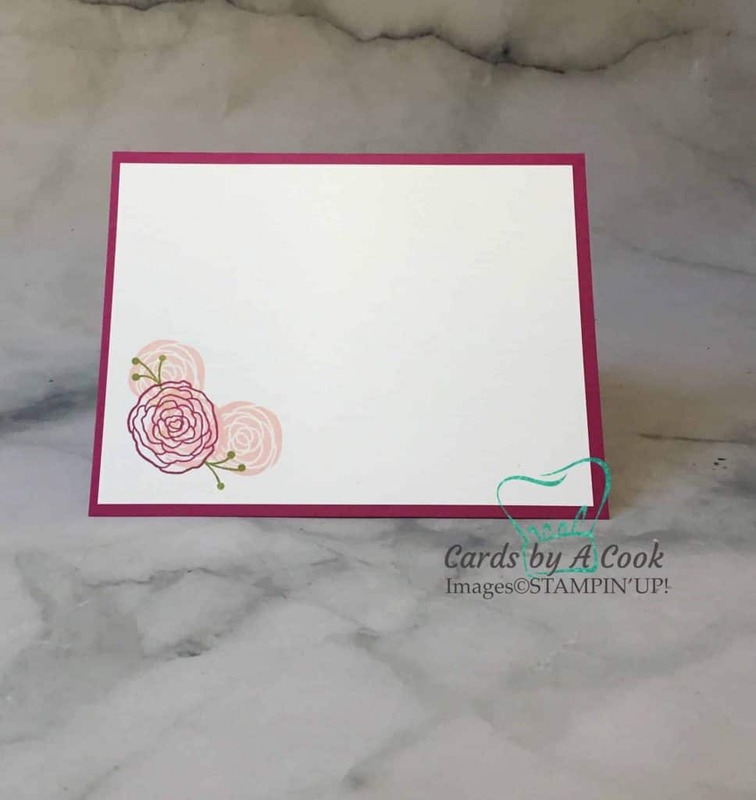 The colours are soft and appropriate for a sympathy card. The card is finished off with the solid black twine that pulls the colours together and is simple but effective. 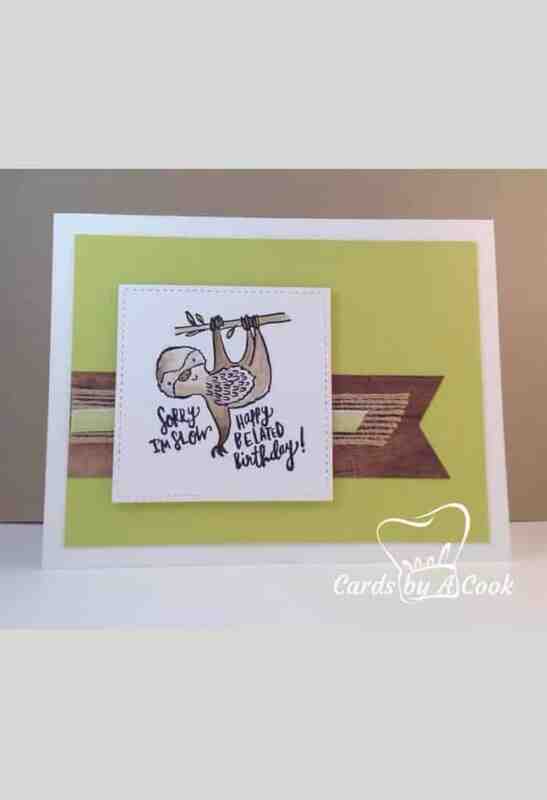 I like how this sympathy card shows the care that went into making it without being too fussy. Pretty Birthday, Anniversary or Wedding -You Pick! The new cake soirée stamp set from Stampin’ Up! is so pretty! The cake reminds me of a wedding cake but since I don’t know of any weddings coming up I think it’s perfect for Anniversaries or a special birthday. I can picture it for a 50th wedding anniversary or a 75 birthday celebration especially. I embossed the cake in silver embossing powder onto powder pink card stock. Adding touches of colour with a blender pen was fun. Matching the silver cake stand to the hints of silver in the cake really makes the card. I also love how the crinkle ribbon has a touch of shine. All the shiny elements help tie this pretty cake card together. 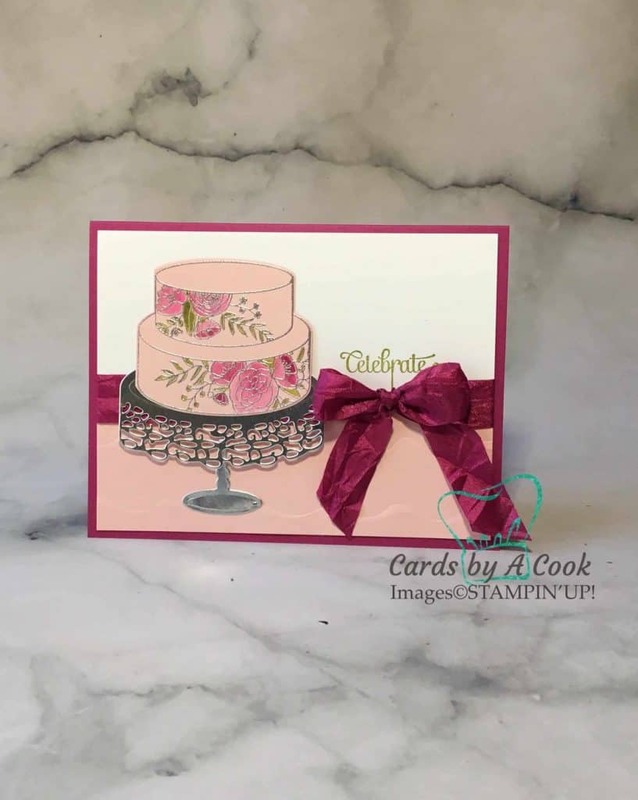 Berry Burst is used as the card base as well as the ribbon and touches of colour on the cake. I love this colour but was concerned it might be a bit dark to write your message on. This problem is easy to fix with a white inside stamped to coordinate with the outside. The cake soiree stamp set comes with pretty flower stamps that match the cake so it was easy to coordinate. A matching inside always makes a card extra special! If you’re making an anniversary or wedding card this would be fun to change out the colours to match the wedding colours. I think friends and relatives would enjoy retelling wedding stories if you asked about the bridesmaid gowns and what their wedding was like. What were your wedding colours? What Stampin’ Up! colour matches best? Comment below and let me know what SU colour combinations would work for a wedding card.